Wow. If you are going to pick up a new book this spring, this is the one. 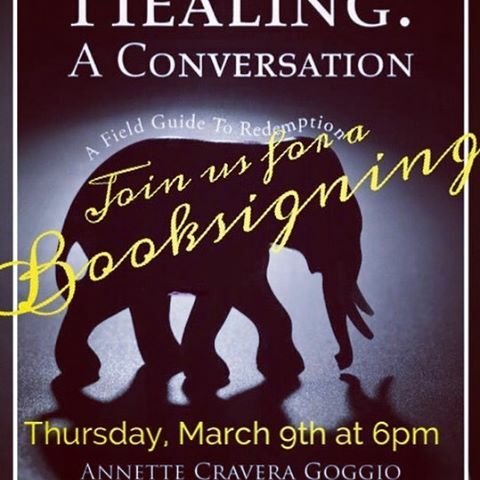 “Healing: A Conversation,” is a revolutionary tool for healing and explains that healing from illness is a process that addresses soul learning and furthers the soul's evolution. Ten years of meditation and study of the spiritual realm allowed the author, Annette Goggio to raise her energy level to meet and converse with her Spiritual Guidance, through the phenomena of telepathy and clairvoyance. From her dreams, past-life memory and the recall of current life events she weaves a story of redemption meant to demonstrate the education of her soul. She wrote this book to bring this information to this dimension, to help others in reconciling their life events and learn their life lessons. #areyouready? #areyouawake?